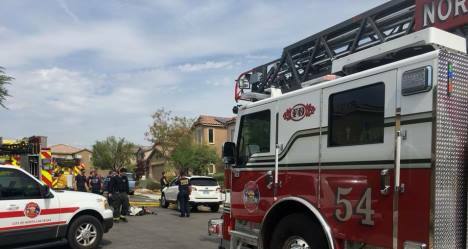 The North Las Vegas Fire Department - is staffed by one hundred fifty-seven (157) uniformed and civilian employees who comprise the Administration, Support Services and Operations Divisions. NLVFD is an all hazards department providing 24 hour emergency response from 8 strategically located fire stations each day using 6 engines, 2 trucks, 7 advanced life support rescues, and 2 Battalion Chiefs. All calls for service are directed to the multi-agency Fire Alarm Office (FAO) located at the Las Vegas Fire & Rescue Headquarters. 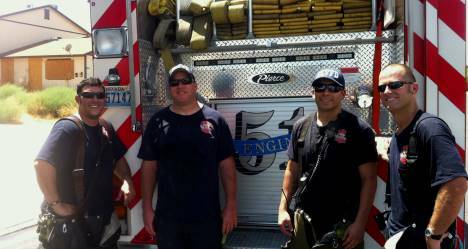 The FAO dispatches fire & emergency call request for the North Las Vegas Fire Department, Clark County Fire Department and Las Vegas Fire & Rescue.